General dentistry is a global term we use to cover the diagnosis and treatment of basic dental diseases. The two areas that are typically of major concern are dental caries (decay) and periodontal disease (gum disease). 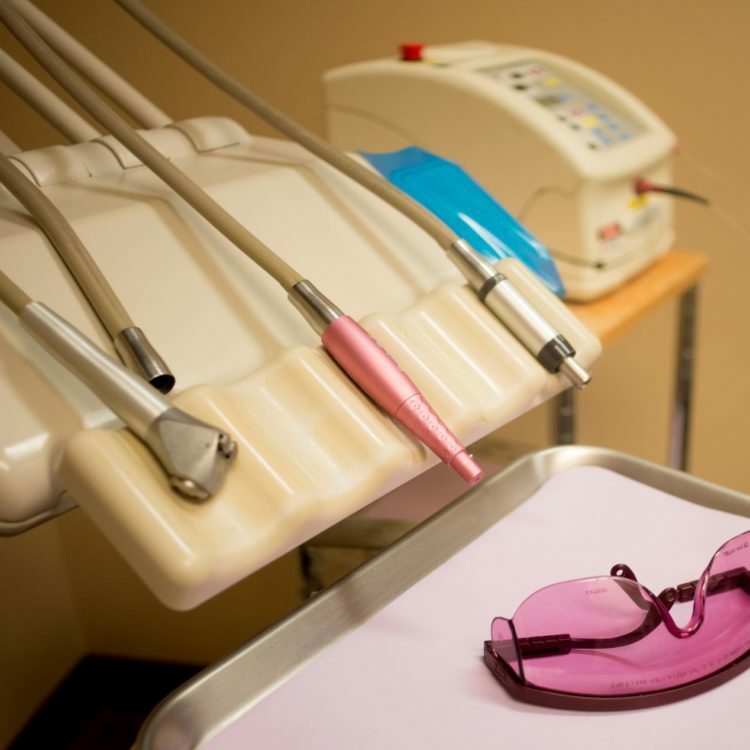 We encourage our patients to address their needs at the earliest possible opportunity as this usually results in helping achieve the most predictable outcome as well as minimizing the overall cost of dental care. The most common treatments we provide are restorative (fillings & crowns), extractions, root canal treatment and periodontal therapy. SCHEDULE AN APPOINTMENT FOR A COMPREHENSIVE CONSULTATION. When you decide to make an appointment with us you are usually doing so for one or two reasons. You may have an issue or pain that you would like us to treat, you may be wanting a cleaning to freshen up. Either way it’s worth bearing in mind that you don’t experience pain or symptoms until a problem has developed over a significant period of time. We always want to start by examining you to see what is going on. The first step is to take x-rays, either specific to a problem or general to get an overall picture of your current status. Without x-rays we can only guess at what is happening, they are very important. Because of this we have invested in state of the art digital x-ray systems. A full set of x-rays accounts for a radiation dosage of just 0.150 mSv which is the equivalent of a few days of environmental radiation or a flight from LA to New York. Unless you have a medical condition that would be adversely affected then the level of radiation is negligible. By taking these x-rays we can diagnose properly and help you maintain your overall health. Following on from your x-rays we will probe your perio pockets (gums) to check on your gum health. Perio Disease is common problem and we want to make sure your gum and bone levels are healthy. Once we have gathered the information we need we will examine your teeth and gums thoroughly and present our findings. What we do about these findings is your decision and will always be your decision. A filling replaces tooth structure following the removal of decay and ensures the tooth form and function are retained. Fillings are typically silver (amalgam) or composite resin (white). Amalgam fillings were the standard for many years and provide a good solution, but over time they expand often causing cracks in the tooth. White fillings are very much the standard within our practice, although over time these will shrink and need to be replaced. The composite used for white fillings is available in many shades allowing us to provide fillings that color match your natural teeth. Endodontic Therapy (Root Canal Treatment) is required when the pulp chamber or nerve within your tooth has become infected. Typically, treatment requires the removal of the pulp, cleaning out of the root and filling of the chamber to seal it. In popular culture Root Canal Treatment has become synonymous with a painful experience. In reality it is the treatment painful symptoms or if diagnosed early enough to prevent you from experiencing the pain of an infected root canal. Crowns are typically the next level of restoration and are diagnosed where the amount of tooth structure remaining after any decay has been removed cannot be adequately replaced by a filling without negatively impacting the function of the tooth. Crowns slip over and are bonded to the prepared remaining tooth structure to restore tooth form and function. Crowns may also be diagnosed where a tooth has a significant crack or is badly worn to protect or restore the tooth’s natural appearance and function. As with fillings there are options to choose from when discussing with Dr Matt your preferred solution. Some crowns are fully metallic, some feature a metallic structure with a porcelain outer shell and some are fully ceramic. As a rule, Dr Matt prefers to recommend crowns that are fully ceramic (Zirconia) or ceramic with a porcelain outer shell. Ceramic crowns are fabricated using hi-tech CAD/CAM equipment that allows tighter manufacturing tolerances which result in a superior fit and a longer lasting restoration. The porcelain overlay allows the lab to attain a translucency that gives the crown the appearance of a healthy natural tooth. It’s worth remembering that the more tooth structure available at the time the crown is fitted the better the long-term prognosis for the tooth. The longer you delay your treatment, the more tooth structure will be lost. There are times when a tooth cannot be saved. Generally, this is when there is too little tooth structure remaining to be able to restore its form and/or functionality. What should I do about extracted or missing teeth? Individual teeth do not function alone but within the overall make-up of your jaw, oral muscles and teeth, or ‘bite’. If you don’t replace a missing tooth it is likely that the surrounding and opposing teeth will move creating an imbalance that can cause many problems over time. In most cases we recommend a Dental Implant which is considered globally to be best solution for replacing a lost tooth, but bridges offer an acceptable solution and will restore the functionality of the area from which the tooth has been extracted.